Pneumonia is an infection in one or both lung. It can be caused by fungi, bacteria, or viruses. 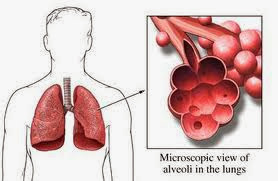 Pneumonia causes inflammation in your lung’s air sacs, or alveoli. The alveoli fill with fluid or pus, making it difficult to breathe. Keep reading to learn about what causes pneumonia as well as its symptoms. You should call your doctor if you have any concerns. Severe pneumonia is a medical emergency. You can get pneumonia in your daily life, such as at school or work. This is called community associated pneumonia. You can also get it when you are in a hospital or nursing home. This is called healthcare-associated pneumonia. It may be more severe because you already are ill. This topic focuses on pneumonia you get in your daily life. Pneumonia can also be fatal. The mortality (death) rate is up to 30% for patients with severe pneumonia who require treatment in an intensive-care unit. Overall, around 5%-10% of patients who are treated in a hospital setting die from the disease. Pneumonia is more likely to be fatal in the elderly or those with chronic medical conditions or a weakened immune system. Consider taking acetaminophen(such as Tylenol) or aspirin to help reduce fever and make you feel more comfortable. Do not give aspirin to anyone younger than 20 because of the risk of Reye syndrome. Be safe with medicines. Read and follow all instructions on the label.